Lunch doesn’t have to be a chore — it can even be fun for you and your little ones. 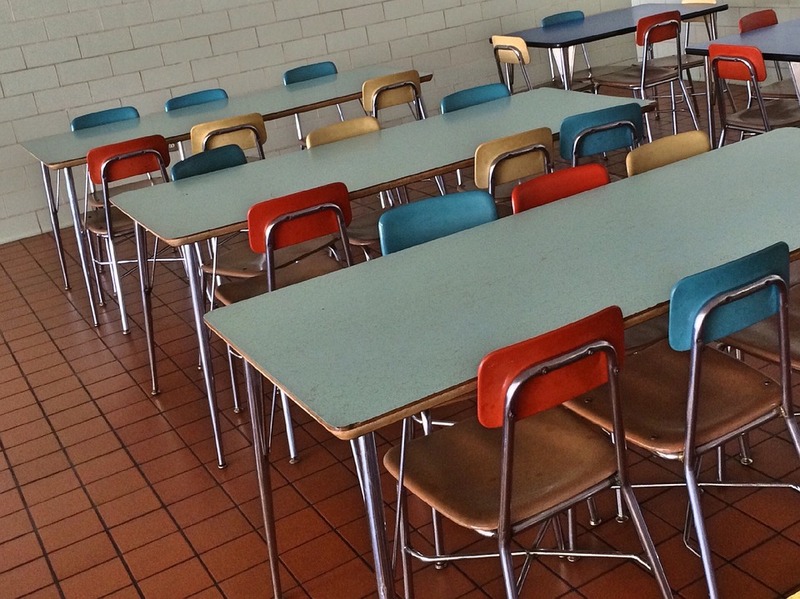 Check out these lunch ideas to get you geared up for the school year. 1. Dessert is what many young children look forward to, so take a cupcake baking pan and flip it upside down. Get cookie dough and roll it flat. Take a circular cookie cutter and make cutouts. Take the cutout cookie and form it over the individual cupcake pan bowls. Bake as usual, let cool, then add fruit to the cookie bowl for a healthy twist. 2. Take tortillas and add leftovers or the filling of your choice. Roll it to wrap it, put in on a Foreman grill or press it down on the stove top creating a burrito that doesn’t come undone for a mess-free lunch. 3. Cut up apples into thin slices, coat with cinnamon sugar, syrup or lemon juice and bake until crispy for apple chips. You can do this with plantains, strawberries or any fruit of your choice that you want to turn into a chip for easy packing and preserving. 4. Cut pita bread into squares or triangles and bag. Then add containers of cheese dip, hummus, peanut butter or chicken salad spread. Add celery sticks, carrot sticks and broccoli for dipping utensils. 5. Take premade dough, like Pillsbury, roll it out and make them into rectangles as long as a piece of string cheese. Place turkey pepperoni, veggies or the filling of your choice into the center of the dough. Add pizza sauce, a string cheese stick, pesto or the sauce of your choice and wrap the cheese, closing the seam. Coat with butter and herbs and bake until done for fun finger food that’s hassle-free for your preschooler’s lunch. 6. Drop strawberries and blueberries into melted chocolate and let cool in the fridge for fun, packable finger food at lunch. 7. Create your own trail mix with dried fruit, nuts, berries, pretzels and the chips of your choosing. Scoop into bags for an easily packable lunch treat. 8. Make broccoli or cauliflower tots. Loosely blend broccoli in a food processor. For 2 cups of ground broccoli add 2 tablespoons of parsley, one-fourth of a yellow onion, one large egg, 1/3 of a cup of breadcrumbs and 1/3 of a cup of panko breadcrumbs. Add half a teaspoon of salt and half a teaspoon of pepper and your desired amount of cheese. Mix all together, shape to your desire and bake at 350 degrees for 35 minutes. Pack and add the dipping sauce of your choice for a healthy preschool lunch. 9. Make homemade chicken salad. Boil chicken breast until cooked. Let cool, then cut the breast into cubes. Place the chicken into a bowl with mayonnaise or vegenaise, optionally add or substitute mustard. Add chopped celery, onion powder, garlic powder and mix evenly. Add walnuts or the nut of your choice. Spread onto bread for a sandwich, put it into a tortilla for a wrap or eat alone with a side of pickle and chips. 10. Make mini barbecue sandwiches in bulk. Get a large, deep baking dish. Take six or 12 rolls, such as Hawaiian rolls. Without individually separating the rolls, split the whole loaf in half and place the bottom half of the rolls in the bottom of the baking dish. Separately cook pulled beef, chicken or the meat of your choice and add barbecue sauce. Spread the meat mixture onto the bottom layer of the rolls and then add the top layer. Brush the top layer of the rolls with butter and herbs and bake until the top layer becomes golden brown. Cut the preformed rolls apart and pack for lunch. 11. Make peanut butter and banana rollups. Take a tortilla and spread it with peanut or almond butter. Add banana slices or the fruit of your choice, then drizzle with honey or syrup. Roll up and pack for lunch. 12. Make rice in a rice cooker, add frozen mixed veggies and the cooked meat or meat substitute of your choice. Add soy sauce to taste and pack for lunch as homemade fried rice. Add cooked scrambled eggs for extra protein. 13. Make easy pasta salad. Slightly undercook seashell, bowtie or macaroni pasta and let cool. In a separate container add Alfredo, spinach, tomatoes and herbs or get the premade pasta salad seasoning and add olive oil. Toss together in a bowl with the cooled pasta and pack for lunch with a side of cheese bread. 14. Make homemade chicken tenders. Get chicken breast and cut into strips. In a separate bowl, whisk together eggs, milk and seasoning salt. Roll the chicken breast in the wet mixture and then bread with shake and bake, premade bread crumbs, panko, flour or cornmeal. Then fry in olive oil until golden brown and bake on 350 degrees for an additional 15 minutes or until the chicken is cooked thoroughly. Pack and serve with a side of ketchup, barbecue or the dipping sauce of your choice. 15. For a premade everything lunch, here is an assortment of things to pack. Cuties mandarin oranges; string cheese; small bagged chips or Goldfish crackers; prebagged grapes; prebagged baby carrots; small, single-serving size of hummus; crackers; pudding cups; Jello cups; cheese dip; Go-Gurt; fruit cups; caramel cups for dipping apples and/or single serving peanut butter cups. Add a granola bar, fruit snacks or trail mix. Make a turkey sandwich on two slices of bread and add mustard, lettuce, tomatoes and pack with additional snacks. Add prepackaged juice, milk or water for an easy to go lunch.